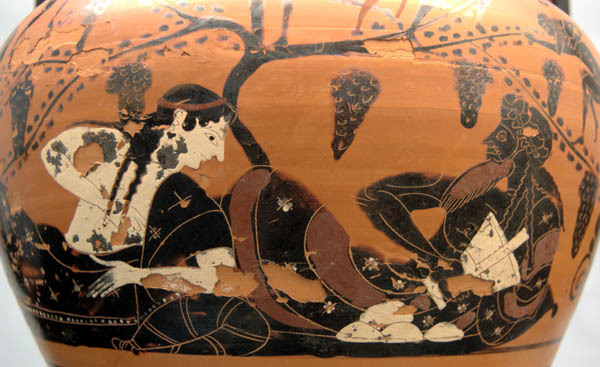 Dionysus is the God of the Vine, Grape Harvest, Winemaking, Wine, Ritual Madness, Religious Ecstasy, and Theatre. 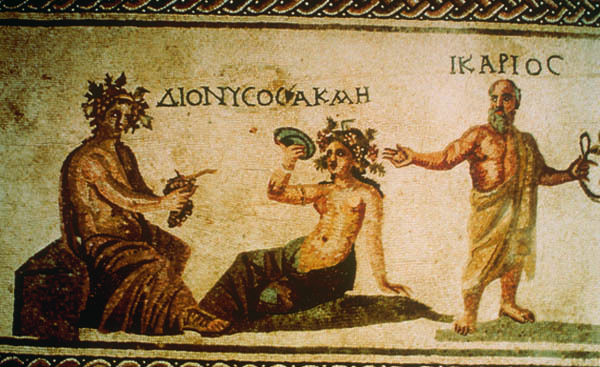 Alcohol, especially wine, played an important role in Greek culture with Dionysus being an important reason for this life style. His name shows that he may have been worshiped as early as c. 1500–1100 BC by Mycenean Greeks; other traces of the Dionysian-type cult have been found in ancient Minoan Crete. Dionysus was the last god to be accepted into Mt. Olympus. He was the youngest and the only one to have a mortal mother.His festivals were the driving force behind the development of Greek theatre. 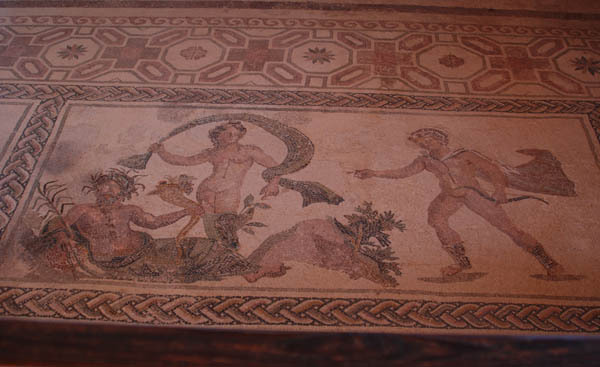 The earliest cult images of Dionysus show a mature male, bearded and robed. Later images show him as a beardless, sensuous, naked or half-naked. In Greek mythology, he is presented as a son of Zeus and the mortal Semele, thus semi-divine or heroic: and as son of Zeus and Persephone or Demeter, thus both fully divine, part-chthonic and possibly identical with Iacchus of the Eleusinian Mysteries. When Dionysus grew up, he discovered the culture of the vine and the mode of extracting its precious juice; but Hera struck him with madness, and drove him forth a wanderer through various parts of the earth. In Phrygia the goddess Cybele, better known to the Greeks as Rhea, cured him and taught him her religious rites, and he set out on a progress through Asia teaching the people the cultivation of the vine. The most famous part of his wanderings is his expedition to India, which is said to have lasted several years. According to a legend, when Alexander the Great reached a city called Nysa near the Indus river, the locals said that their city was founded by Dionysus in the distant past and their city was dedicated to the god Dionysus. Returning in triumph he undertook to introduce his worship into Greece, but was opposed by some princes who dreaded its introduction on account of the disorders and madness it brought with it. Dionysus has remained an inspiration to artists, philosophers and writers into the modern era.